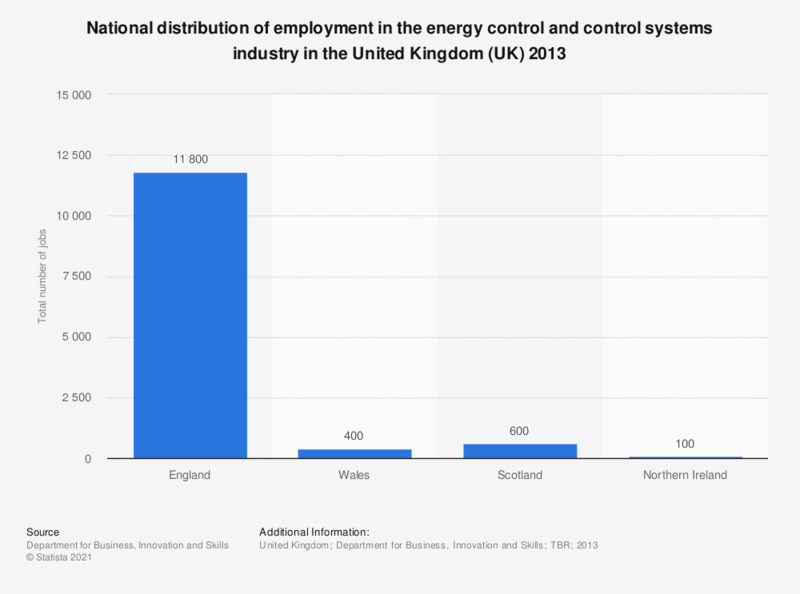 This statistic shows the national distribution of employment in the energy controls and control systems industry in the United Kingdom (UK) in 2013. The total number of jobs in 2013 was 12,800. England has provided the most jobs in this industry with 11,800 positions, 92 percent of the total share. Energy controls and control systems includes smart meters, displays, communications hubs and controls.